Edinburgh born sculptor of imaginative figures and groups illustrative of literary subjects. He trained under A H Ritchie and Robert Scott Lauder at the Trustees School of Design before setting up a studio at 36 St George's Place, Glasgow, 1860-61. After visiting Rome, he settled in Liverpool where he won the Wellington Monument competition with his architect brother Andrew Lawson (1864). From 1866 he lived in London but maintained contact with artists and patrons in Scotland. He executed figures of Robert The Bruce; Baillie Nicol Jarvie and Diana Vernon on the Sir Walter Scott Monument, Edinburgh (1874); the statues of Lord Cochrane, Valparaiso (1874); Joseph Pease, Darlington (1875); and the statue of Robert Burns at Ayr (1889-91). His Burns statue was won in competition and was hailed at the time as 'the finest statue of Burns from any studio'. 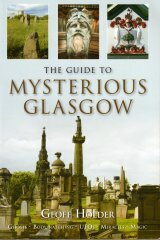 Later copied for Belfast (1893); Halifax, Nova Scotia; and Melbourne, Australia (1904); Glasgow was also presented with a copy of the statue, but in miniature scale. This was a sketch model presented to the famous 'Drooko' umbrella manufacturer, Joseph Wright, in October 1889. He displayed this in the window of his shop at 106 Argyle Street, and later exhibited it together with the competition model by George Webster. His only public monument in Glasgow is the bronze statue of James Arthur, in Cathedral Square Precinct, which stands on a pedestal carved by J & G Mossman to a design by the architects Morris & Hunter (1893). Amongst his portrait busts and narrative works are George MacDonald (1887), Jeanie Deans (n.d.) and Motherless (1901), which is in the collection of GMAG (reg no. S-80). In 1871, he produced the portrait medallion for the monument in Aberdeen to Alexander MacDonald, the father of modern granite sculpting, which was commissioned by his son, Alexander MacDonald of Kepplestone (Lawson's correspondence with MacDonald about the medallion is held in the Aberdeen City Archives). His architectural sculpture is rare and includes a bronze relief representing the Arts on Aberdeen Art Gallery (1904-5). However, in the 1880s he was commissioned to produce the models for the largest and most important sculpture scheme in Glasgow, the City Chambers (1882-90). He supervised an army of sculptors and carvers from all over the UK on the building including, John Mossman , Charles Grassby and William Aumonier . Elected HRSA in 1884, he exhibited at the RA , 1862-93, RSA , 1860-92, and RGIFA , 1870-92. Lawson died at Richmond, Surrey. City Chambers, West Elevation - George Square.